The White Linen California Poppy, Eschscholzia californica White Linen will stand out in any garden setting. The creamy white flowers look like they almost glow from a distance. Eschscholzia californica White Linen is easiest when planted from seed in the Fall. The White Linen California Poppy grows in full sun and a variety of soils. Eschsholzia californica White Linen will do poorly if given regular water and moist soil in the summer. I have concerns about using hybrid poppies in gardens near wild areas because they can freely cross with the local species. 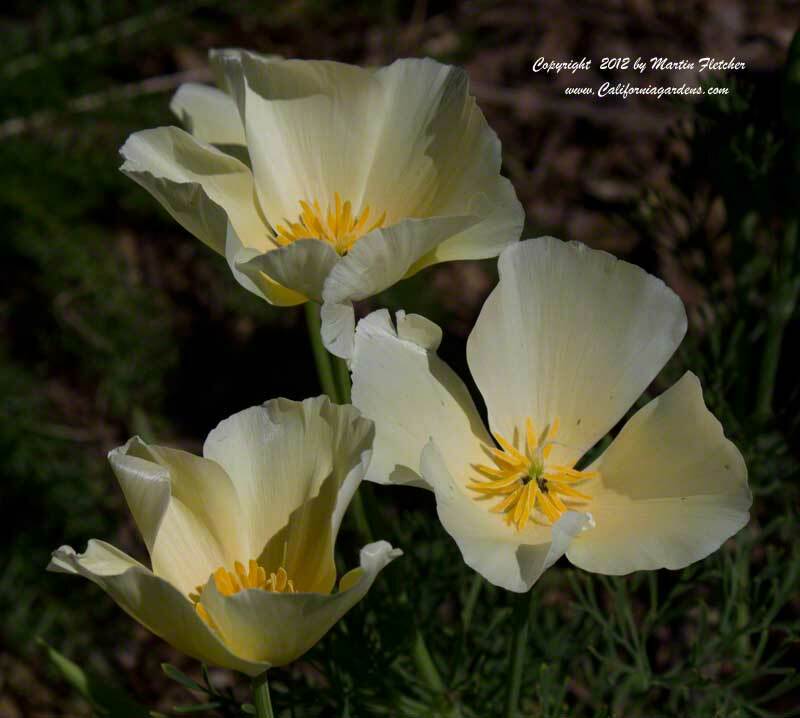 The White Linen California Poppy will grow for a season or two and will likely renew itself from seed. White flowers with an orange blush Eschscholzia White Linen - White Linen California Poppy. High resolution photos are part of our garden image collection.